Putting popular misunderstandings of the science vs faith debate under the microscope with Oxford lecturer Allan Chapman. Seeking clarity in the faith vs science debate? 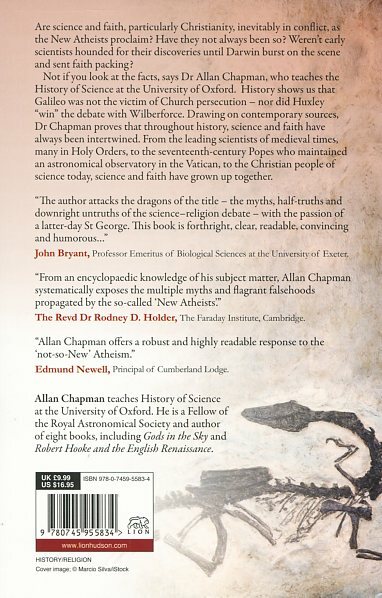 In ‘Slaying the Dragons’, professor and member of the Faculty of History at Wadham College, Oxford, Allan Chapman examines the claims of the ‘New Atheists that: religion really belongs to an earlier phase of human development, and that nowadays science has taken its place as the yardstick of authority. But are science and religion friends or foes? There are a great many scientists of the highest intellectual distinction - ranging from cosmology to medical research, who make no bones about their faith and cannot understand what the ‘New Atheists’ are getting so worked up about. Chapman explores whether anything has changed in the nature of scientific discovery to allow for the modern atheistic interpretations of science that did not exist in the past. He also examines whether or not modern discoveries in biology, brain science, cosmology and physics seriously undermine religious belief. In this study, Allan Chapman examines popular misunderstandings about key events in the history of science-faith relations. He covers the major episodes such as Galileo's trial, the Wilberforce-Huxley debate and the Scopes trial of 1925, but also looks further back through the medieval period to the Classical age, revealing how these events have acquired mythical and misleading status. Asking if religious modern scientists just the fools that new atheists paint them to be, or are the latter just so blind in their dogmatic brain-washing that they cannot see the bigger world beyond their test-tubes, ‘Slaying the Dragons’ exposes the atheists’ worn-out tale which itself goes back centuries, and which they are trying to spice up with big helpings of rhetoric and ridicule. Slaying the Dragons by Allan Chapman was published by Lion Hudson in February 2013 and is our 4998th best seller. 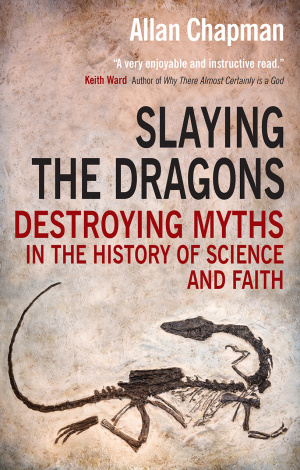 The ISBN for Slaying the Dragons is 9780745955834. Be the first to review Slaying the Dragons! Got a question? No problem! Just click here to ask us about Slaying the Dragons. In this lively and often surprising study, Dr Chapman examines popular misunderstandings about key events in the history of science-faith relations. He covers the major episodes such as Galileo's trial, the Wilberforce-Huxley debate and the Scopes trial of 1925, but also looks further back through the medieval period to the Classical age, revealing how these events have acquired mythical and misleading status. 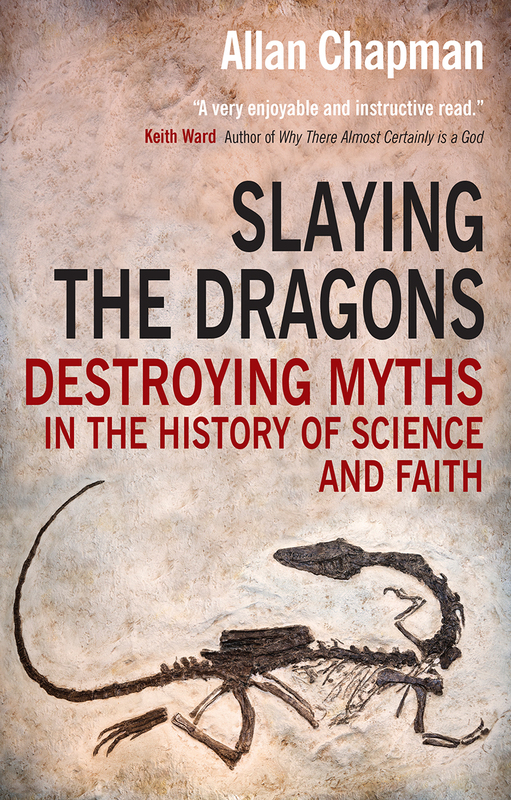 Chapman exposes the facts that have been forgotten and the contemporary opinions that have been supplanted by modern propaganda.Slaying the Dragons is an important book that strips away layers of misunderstanding and misinterpretation and, in so doing, helps us to appreciate that science and religion are not the common enemies we think they are.